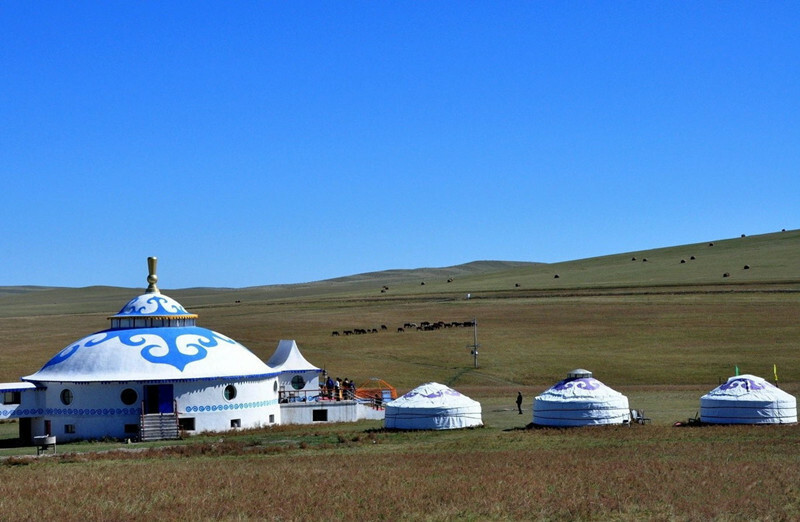 People in Inner Mongolia has their rich folk customs and cultures. During this tour, you can experience cultures of several ethnic minorities, including Mongols, Russ and Ewenkis, admire the picturesque landscapes including prairie, primitive forests, lakes, wetlands, etc, and also explore the culture of the mysterious reindeer herders of Aoluguya. Experience cultures of several ethnic minorities, including Mongols, Russ and Ewenkis. Admire the picturesque landscapes including prairie, primitive forests, lakes, wetlands, etc. Explore the culture of the mysterious reindeer herders of Aoluguya. Take flight or train to Hailar – the culture central of Hulunbuir City. Arriving at the Hailar Dongshan Airport or train station, met by our English speaking tour guide and head to your designated hotel in Hailar. You are at your leisure to explore the Hailar District of Hulunbuir. 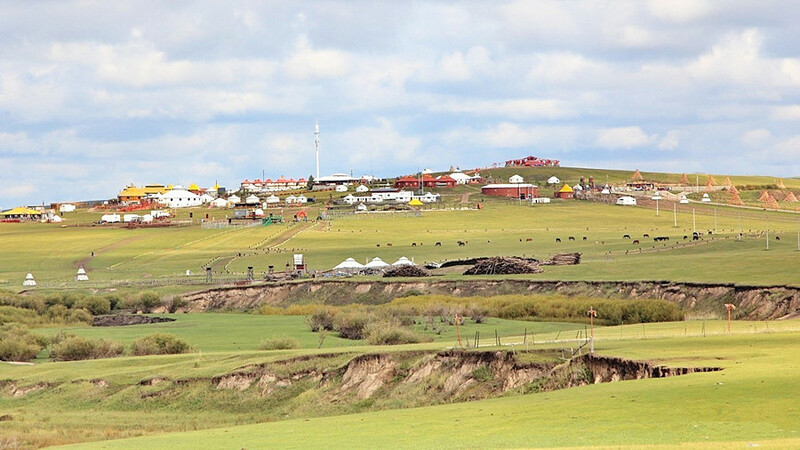 After breakfast, head to the heartland of Hulunbuir Grassland. 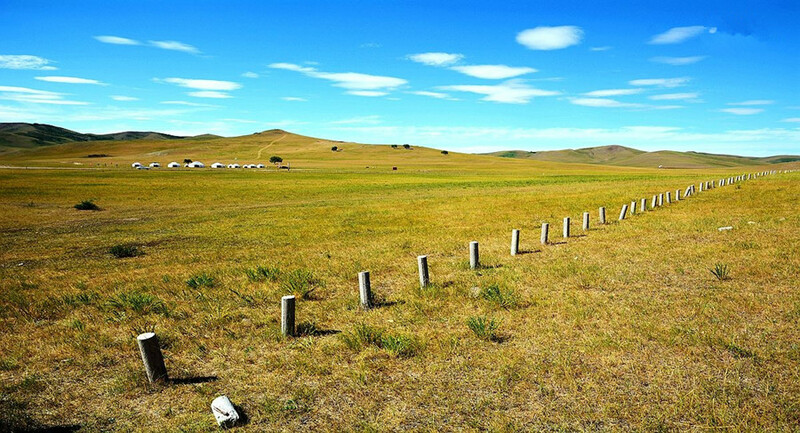 On the route, you are immersed in the blue sky and white clounds though the grassland in summer day. But enjoy the white snow in winter. Some snow activities will be arranged. You will participate in the sacrificing of Aobao, the most common and grand sacrificial activity of the Mongolians. Self-served mutton will be served for your Mongloian type of lunch. After lunch, take a walk along the Moergele River that boasts the most beautiful river bends in China. Horseback riding is optional. After breakfast, continue to drive to Shiwei. Located on the east bank of the Erguna River, Shiwei is now a lively border town abutting Russia inhabited mostly by the Chinese-Russian descendants. Shiwei used to be a cradle of multi-ethnic groups including Mongols. It is a beautiful town and listed as one of top ten most beautiful townships in China. The town and its surrounding villages feature the Russian style in terms of architectures and living habits. Stay overnight in a traditional Russian style wooden house is a top choice for many tourists. On the route, you will pass by the pretty and romantic corridor of birch forests, igniting the torches in your memory of the past happy life. Dinner will be arranged in a Russian descendant family and homestay overnight in a Mukeleng house, a kind of Russian traditional house built with logs on stone foundation. After breakfast, visit a Muleleng House of over 100 years old. Then move on to the Sino-Russian boder river to appreciate the beauty of Erguna River and have a distant view of the opposite Russian town. After lunch, head to Moerdaoga National Forest Park. The Moerdaoga National Forest Park is the first national forest park in the Greater Khingan Range within Inner Mongolia Autonomous Region. It is the biggest national forest park of its kind in China. “Moerdaoga” literally means that “set out for flight riding your horses” that was legendarily said by Genghis Khan who tried to integrate the tribes. The forest park is adjacent to the Hulunbuir Grassland on the south, the Erguna River on the north, packed with old and tall trees and numerous streams and rivers. After sightseeing at the forest park, move on to Moerdaoga Town. After breakfast, drive to Aoluguya Ewenki Ethnic Township. On the route, enjoy the scenery of the primeval forest of the Greater Khingan Range. Aoluguya Ewenki Ethnic Town is inhabited by the Ewenki people, the only hunting tribe in China which keeps its reindeer. They came from Siberia over three hundred years ago and have been living in the dense primeval forest and surviving on herding reindeer. Visit the residentail houses by the hunting tribe. After lunch, visit the Aoluguya Ewenki Ethnic Reindeer Museum and primary tribes and handicrafts workshops. Then drive all the way to the hometown of Genghis Khan – Ergun City. Ergun City is located on the northern part of Hulunbuir Grassland and on the right bank of Erguna River with an area of 28,400 km2. Genghis Khan here united all the tribes and started to conquer most of Asia and Eastern Europe. After breakfast, head to Erguna Wetland. Erguna Wetland has an area of 200,000 hectare, the largest wetland in Asia, about 3km to the west of Ergun City. Erguna Wetland is scattered around the forest and the grassland with many types including marshes, shrub swamps, swamp forest, open bogs and moss. Erguna Wetland is on the plain delta formed by Erguna River and other three alpine rivers including Genhe River, Deerbugan River and Hawuer River. Lunch will be arranged at Heishantou. Then drive all the way to Manzhouli. Manzhouli City is adjacent to Russia in the north, about 192km to the west of Hailaier, which is a port city of comprising the folk customs of the three countries including China, Russia and Mongolia, a blend of Chinese and Western cultures. The City is teeming with unique buildings of Russian, Mongolian and Chinese styles. After Chinese-Russian dinner, stay overnight in a hotel at Manzhouli. After breakfast, drive to Taowa Square, a huge matryoshka doll square. The Matryoshka Doll Square is the iconic attraction in Manzhouli that comprises the characteristics and features from the three bordering countries – China, Russia and Mongolia. The main building is a 30m high with an area of 3,200 square meters, the largest in the world hitting the Guinness world record. Then head to Hulun Lake. 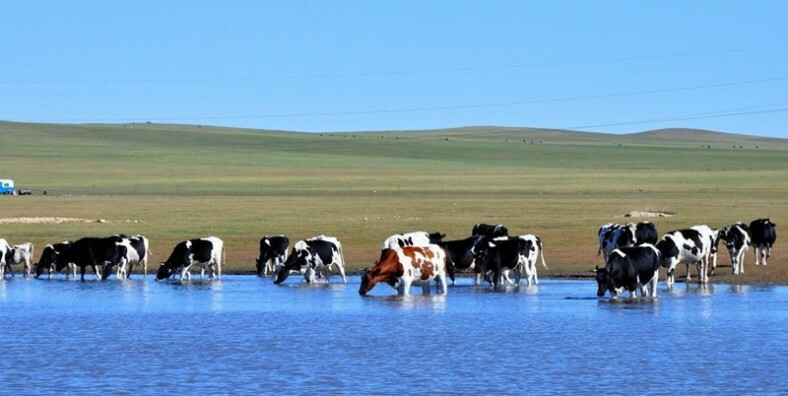 Located in the western of Hulunbeir Prairie, Hulun Lake is the 5th largest fresh water lake in China and the largest lake in the Inner Mongolia, covering approximately 2,339 km2. Hulun Lake is teeming with cash fish such as carp, crucian carp and also rare white shrimp. The lake is a mecca for 241 bird species, including crane, gull, swan, one of the few treasure houses of birds in the world. Hulun Lake is an ideal summer resort due to cool climate, beautiful scenery and fresh air in summer. Enjoy an all-fish feast for your lunch. After lunch, appreciate the massive grassland lake. Boating on the lake is optional. At the end of the travel service, you will be transferred to Hailar Dongshan Airport for departure flight.